Beautiful private residence designed in 2015 by Tzannes Associates, situated in Sydney, Australia. Set on an irregular site with unique site constraints, this new residence is a relaxed and informal family home that embraces its lush garden surrounds. The house is composed of two intersecting volumes arranged to make best use of the sites orientation and outlook. Entry is via a wide loggia space which overlooks the garden and spills into the living areas. Bedrooms are accommodated on the second storey gaining access to district views to the North-East. The master suite is surrounded on three sides by sliding windows and shutters that retract completely to open the room completely to the view and the surrounding trees. 1. Crown molding. 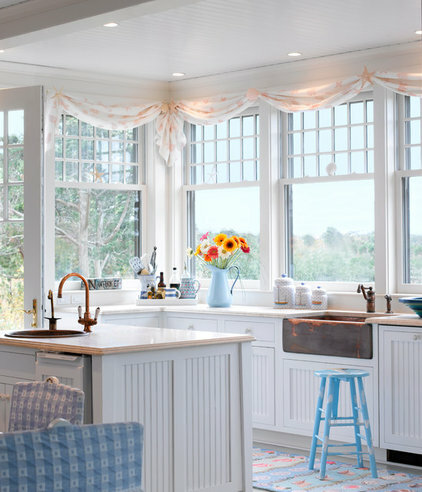 Few things leave designer fingerprints like crown molding does. 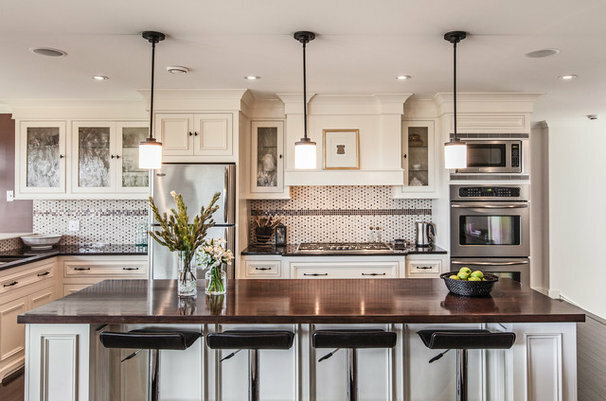 It can bridge the gap between your wall cabinets and the ceiling, allowing for a seamless transition. 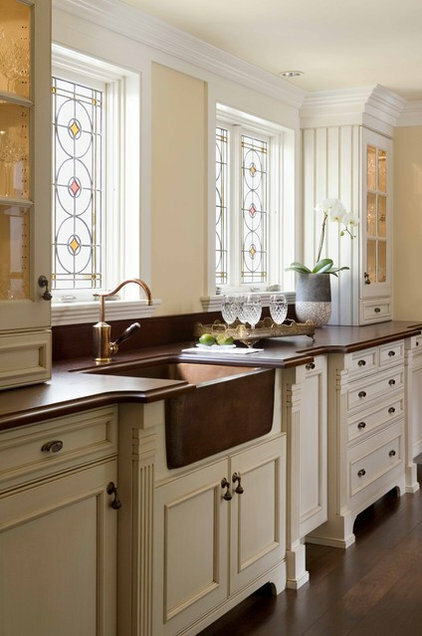 In traditional kitchens, it can cap off the design with one final touch of detail. 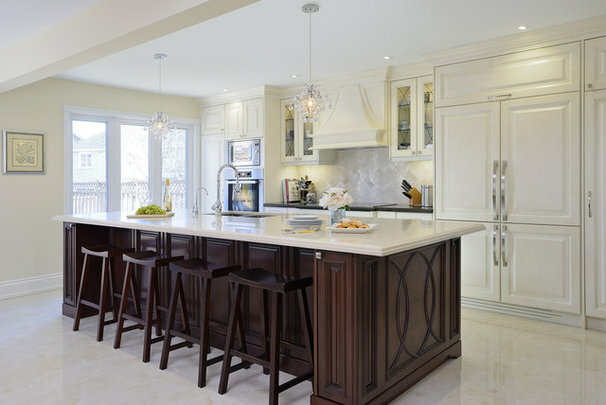 Cabinets: custom, Fine Grain Woodworking Inc.
A matching end comes integrated into the cabinet or as a separate piece. You can install your own; just make sure there’s enough room first. Some panels are up to¾ inch thick, depending on the manufacturer. 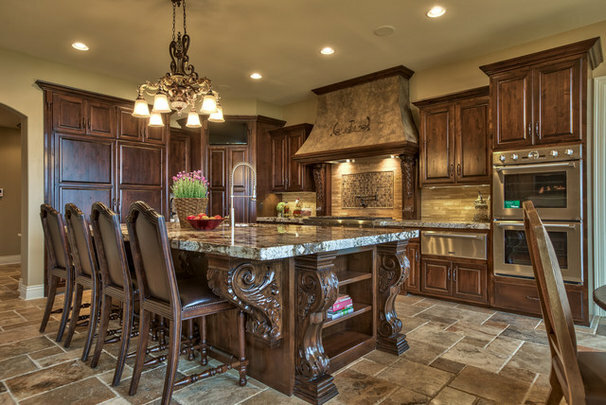 Cabinets: custom, Quality Custom Cabinetry Inc.
9. 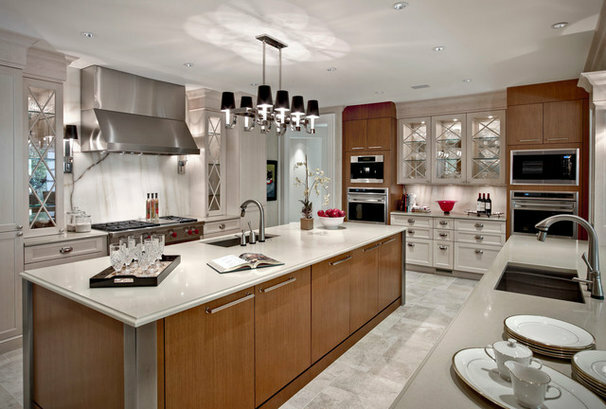 Creative storage spaces.Don’t always settle for cookie-cutter storage options. 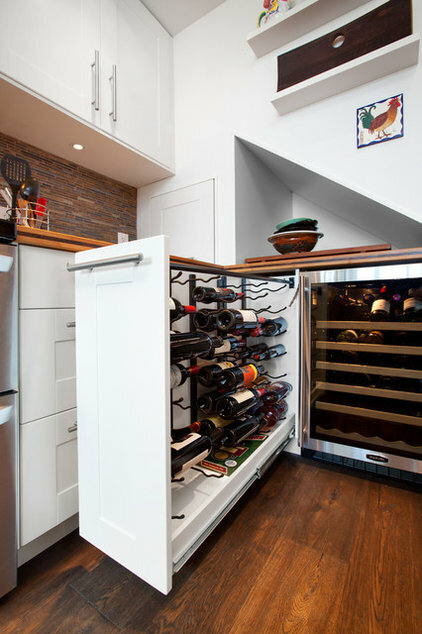 A custom wine rack drawer is one way to give your cabinets a designer touch (and house a growing wine collection). 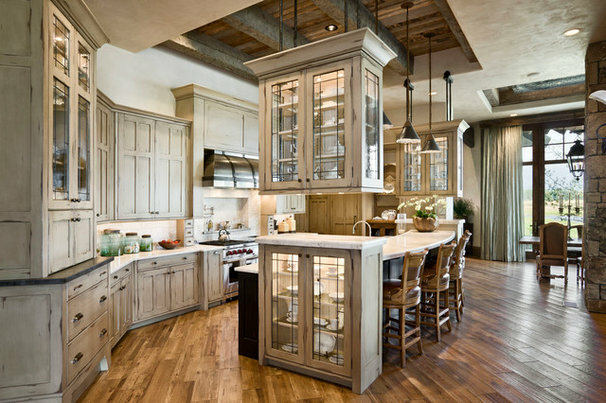 Other popular options are spice rack drawers, peg pullouts for utensils, and tray dividers for baking sheets. 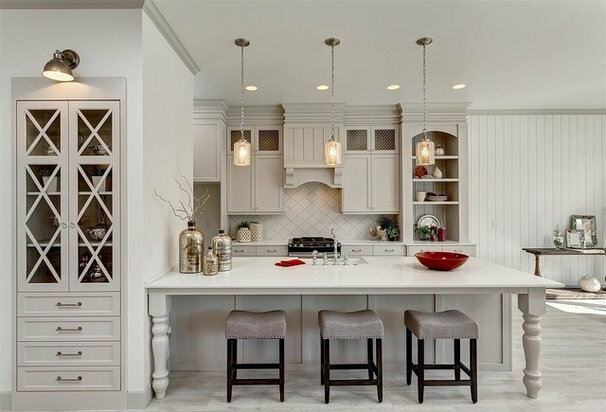 Custom built-ins like these show personality and are a perfect marriage of form and function. 11. Fluted molding. Here’s where a little extra detail goes a long way. 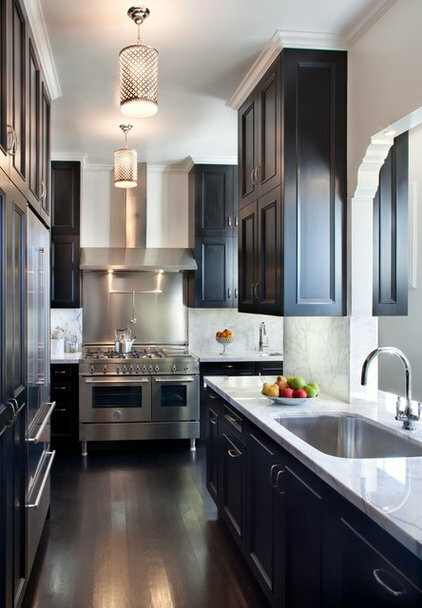 Put fluted molding on both sides of a cabinet (preferably at a center point, like a sink or stove base) to make a statement. 12. Unique stains and glazes. 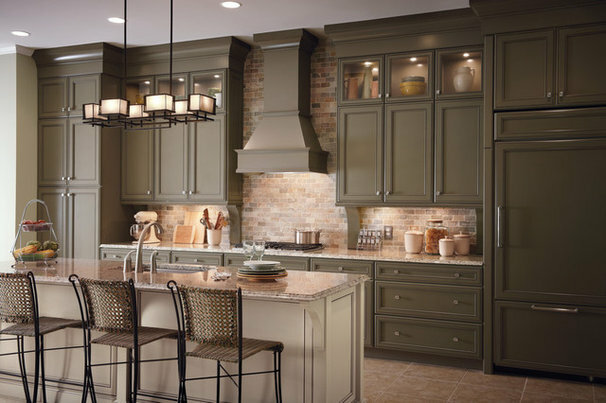 An antique finish can add charm, and a custom glaze brings unparalleled character to kitchen cabinets. First Time Buyers Selling Your Home Your Equity Is On The Rise!